After Congress members go through Youth Lead they’re ready to GO! They will have the opportunity to participate in diverse workforce opportunities such as internships, part time jobs, full time jobs. The goal here is to help youth gain additional skills and to get established in solid careers. 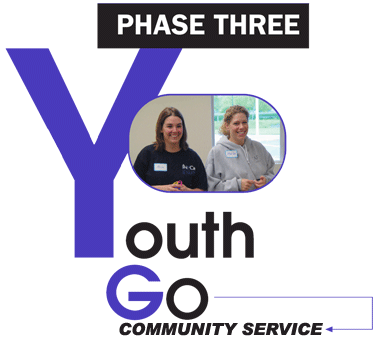 The other option for those moving out of Youth Lead is to SERVE! Here congress members are offered the opportunity to give back to their communities: in the areas addressed by the Town Hall Forums, in other key community sectors, and in the Youth Congress itself.